Author and retired U.S. Army Lt Colonel Ralph Peters offers his take on the Army deserter Bergdahl in his New York Post column. Attention, all troops peeved with your platoon sergeant, bored with your field rations, or who just want a little private time: It’s okay to desert your post in a combat zone. It’s fine for you to trigger the deaths and grave woundings of better men than you. A military judge just set a precedent: Deserters in wartime walk free. You’ll probably get a book deal, too, and be portrayed as a hero in a big-budget film. The US Army colonel and judge who decided Army Sgt. 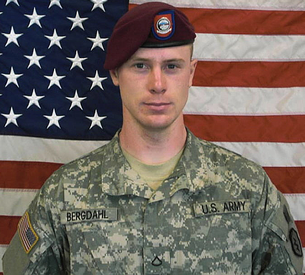 Bowe Bergdahl’s fate has some explaining to do. How is it that a confessed deserter, whose actions brought our Afghan campaign to a halt and led to the acknowledged wounding and alleged deaths of his comrades, can walk out of a military courtroom a free man? With not one day of prison time? How is that possible?